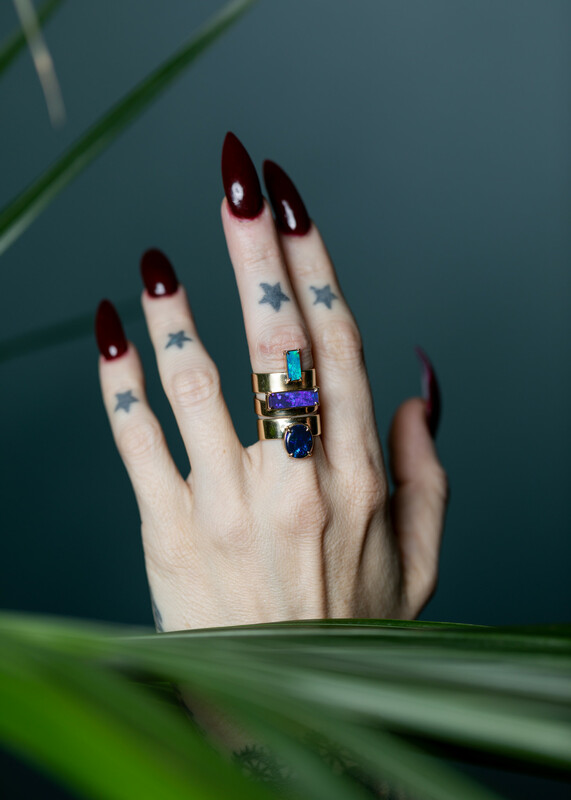 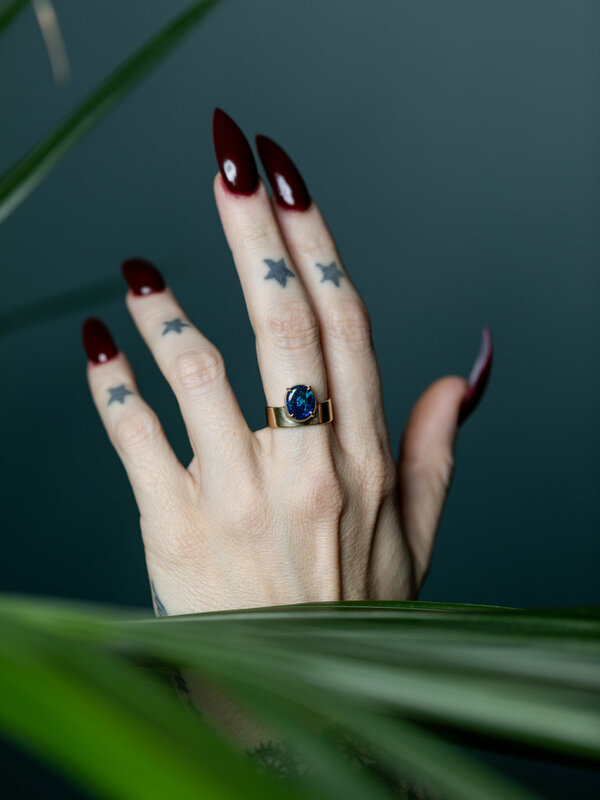 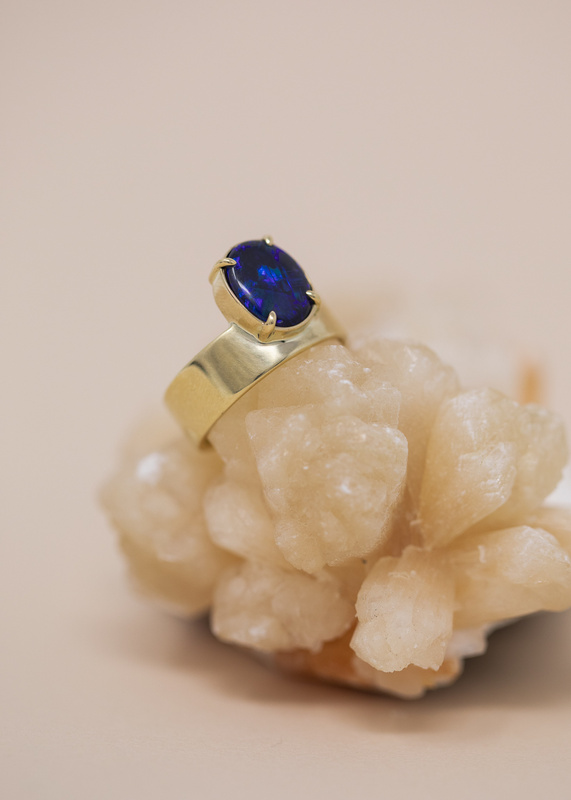 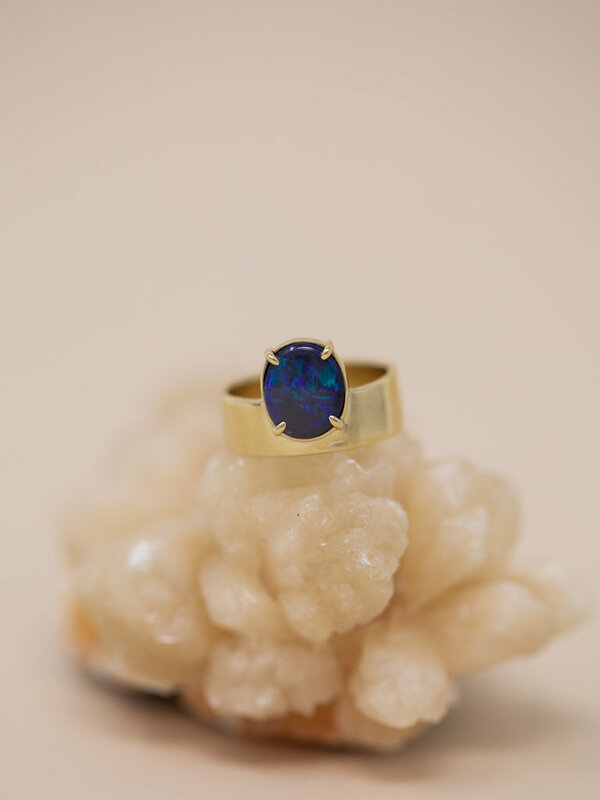 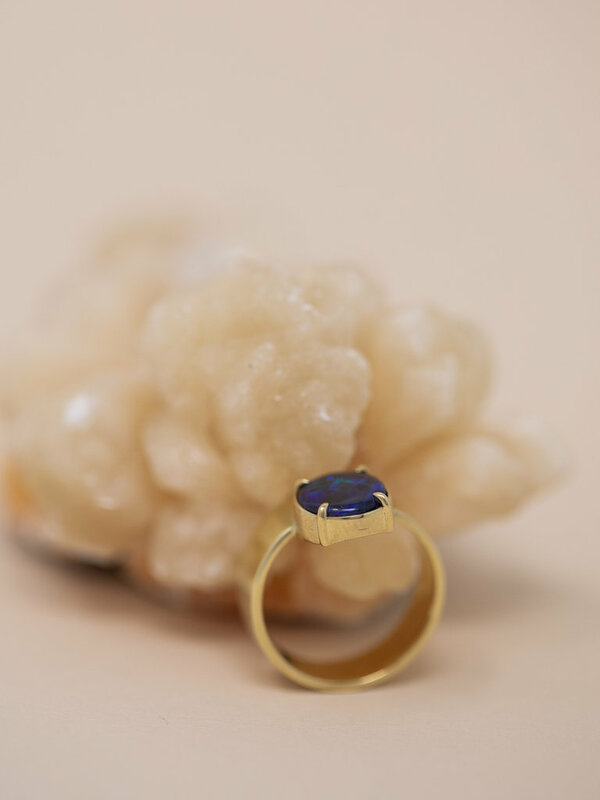 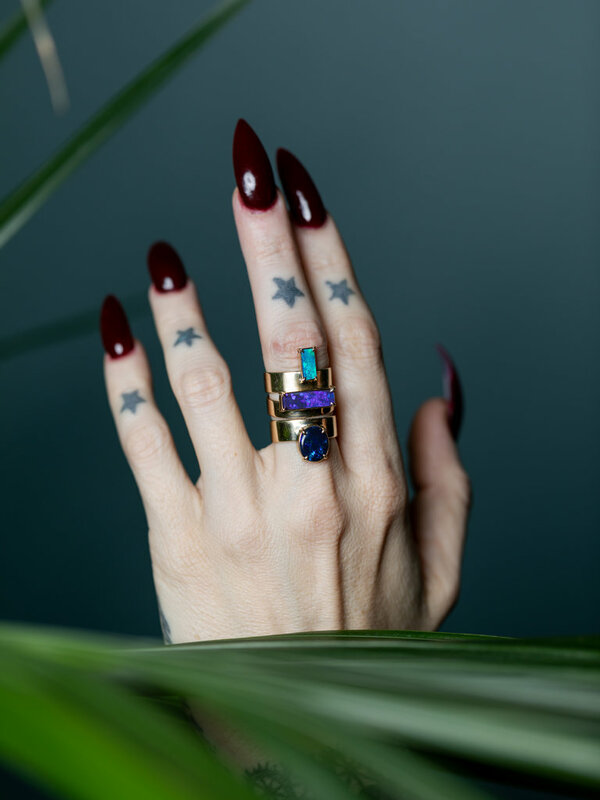 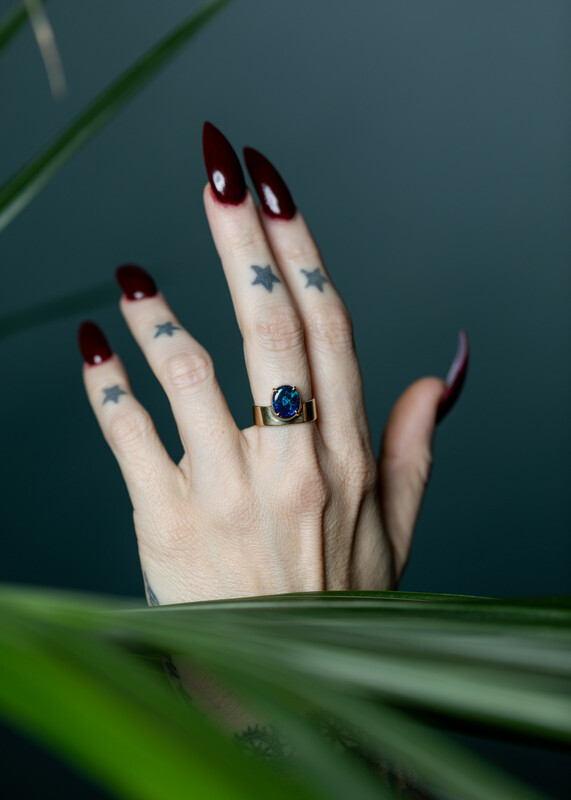 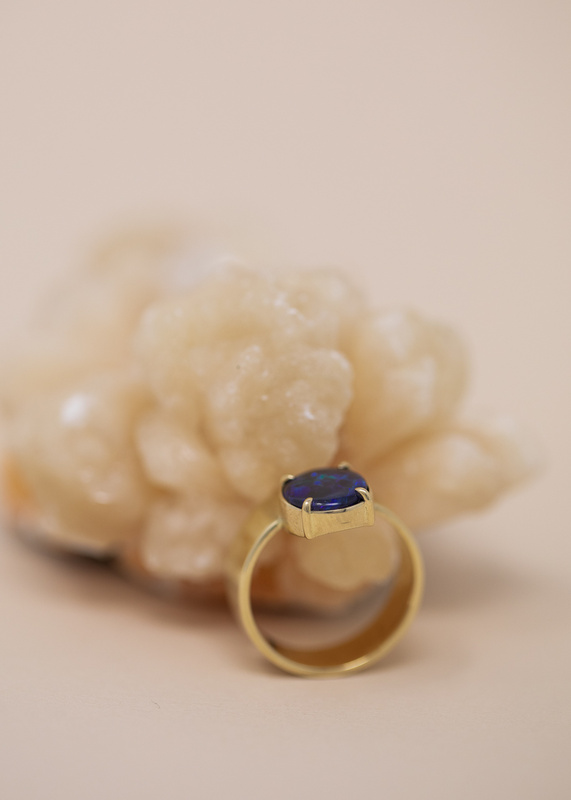 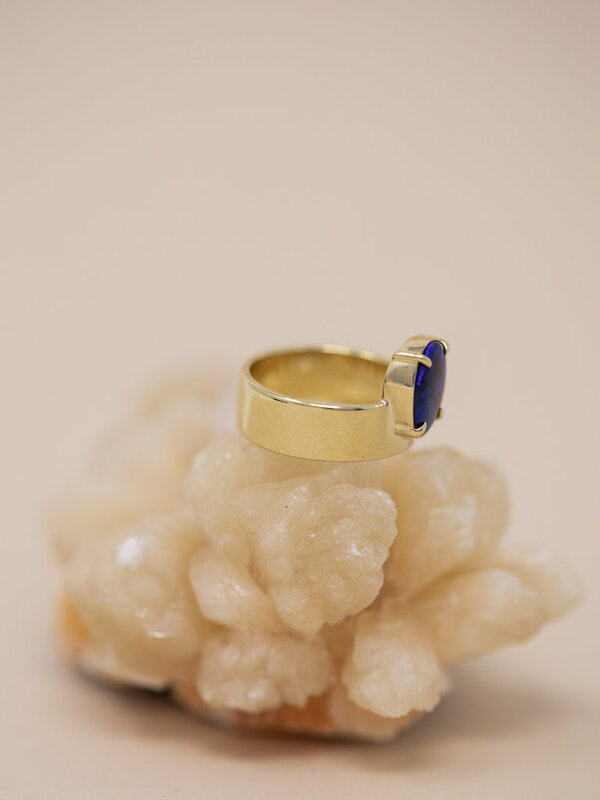 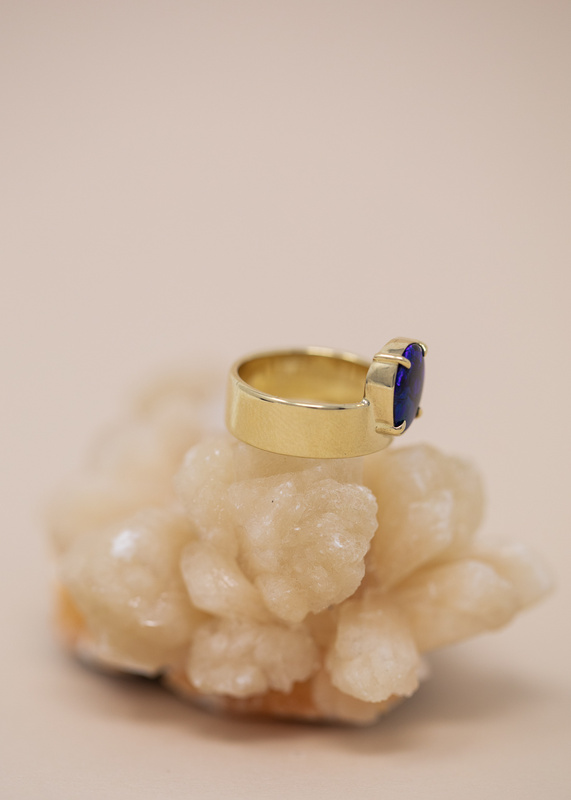 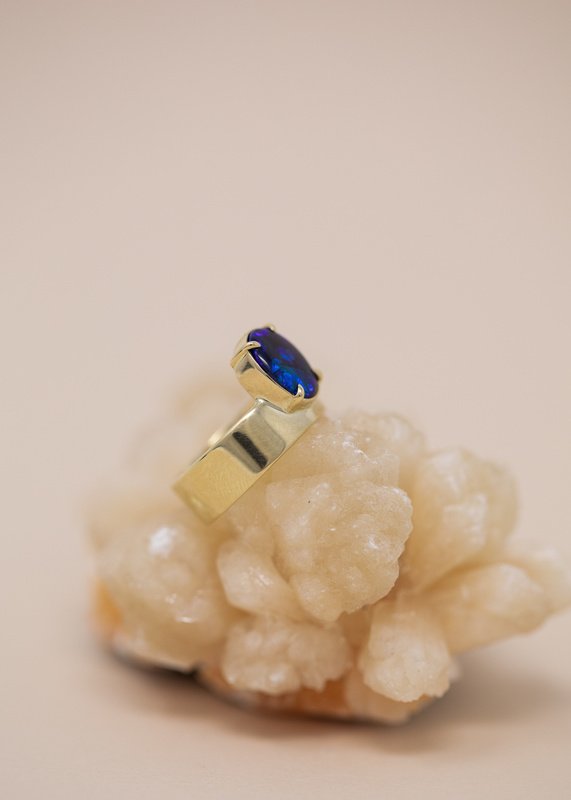 This one of a kind deep blackish blue round opal ring is set horizontal along a wide band of solid 14 karat yellow gold. 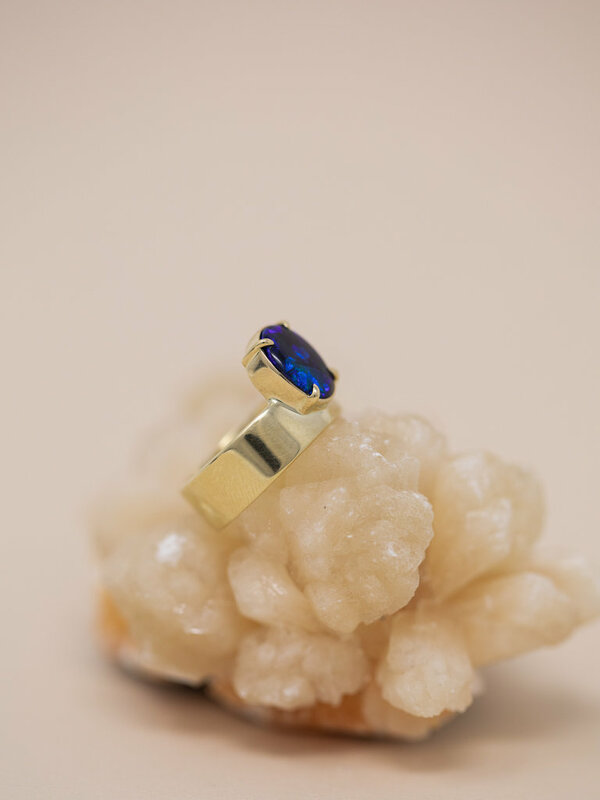 Flashes like crazy when the light hits it, this ring is a modern marvel. 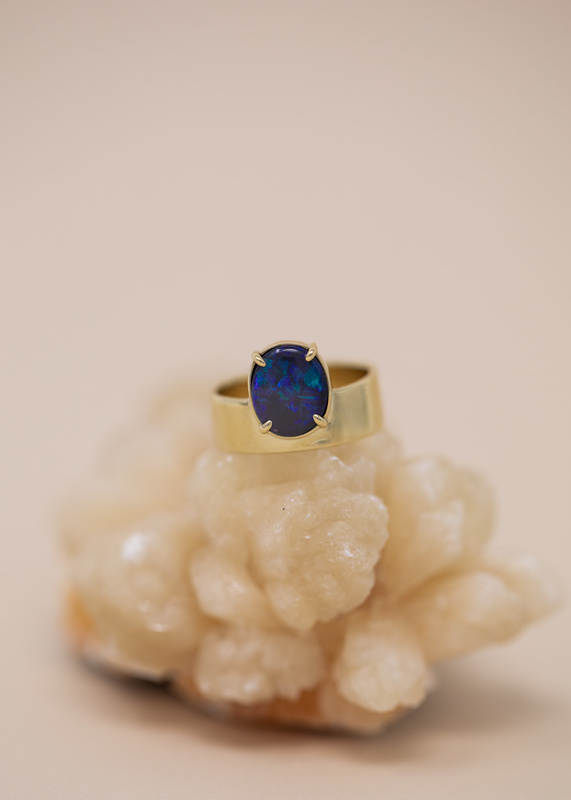 Ring pictured with Wwake Monolith Horizonal Opal Ring & Wwake Monolith Vertical Opal Ring.